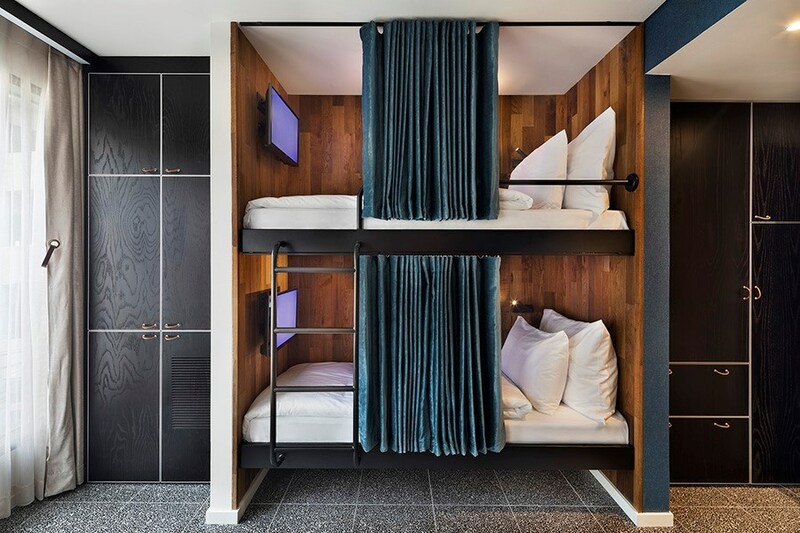 The Fabric Hotel Situated on the vivacious street of Nahalat Benyamin, Fabric acts as the “neighborhood saloon” that combines the cosmopolitan and urban culture of modern Tel Aviv. Just a short walk away from some of the city's main attractions, including the famous Carmel Market, popular Rothschild Blvd, and fashionable Neve Tzedek, you'll find yourself at the center of all the action. With its rough, industrial design and furniture and its warm and colorful art, Fabric offers the ultimate scene for tourists and travelers alike. On the ground floor lies Bushwick, the “all day bar- from coffee till cocktail” named after the trendy neighborhood of New York. Teaming up for the first time, Atlas Hotels and the Imperial Cocktail Bar group have combined Brooklyn’s influences with Tel Aviv’s vibes and flavors - from the artisanal café vibe in the morning to a lively cocktail bar at night. 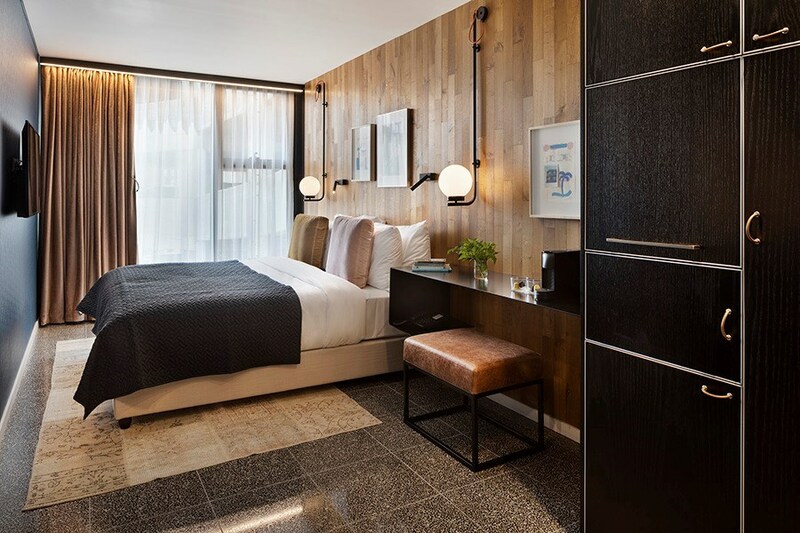 The hotel’s 43 rooms aim to provide a relaxing break from the lively ambiance below and the cool rooftop atmosphere above and offer guests a place to recharge between tourist activities. 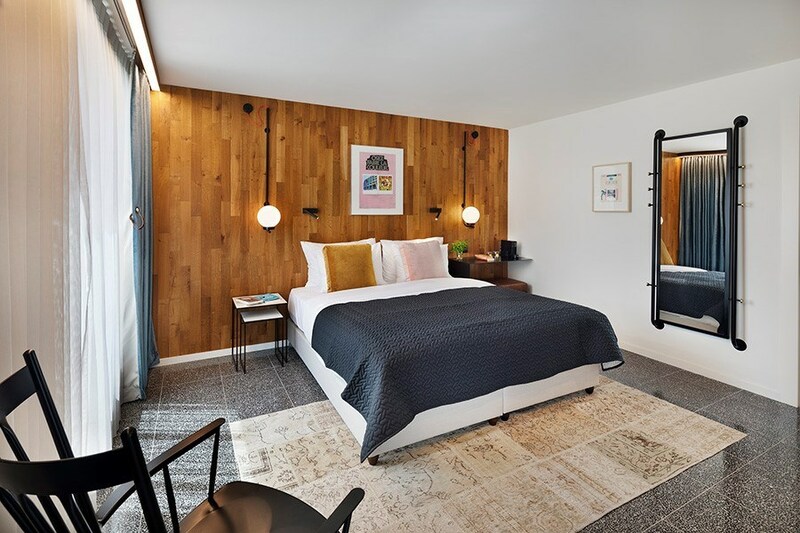 Through an elegant glass divide that separates the bedroom from the bathroom, the room is equipped with a television set with a built-in Netflix app and a Nespresso coffee machine. 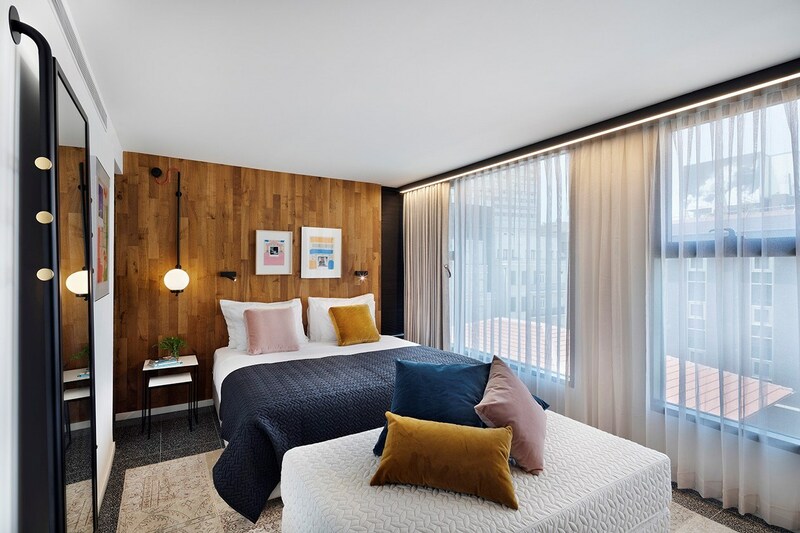 Alongside these perks, guests can enjoy a quality breakfast buffet, designed by famous chef Avivit Priel, served at Bushwick and a special, complimentary Happy Hour to ensure an unforgettable stay in the heart of Tel Aviv. Until the day before arrival without cancellation fees. No cancellation notice is required for a one-night fee. On holidays - up to 3 days notice - no charge, less 2 nights' charge.